Q. I have a situation that is just appalling to me as a dog lover and a professional. I was called in on a case around February from a Mrs. Joan Lang. The Langs now have 6 month old Madison and they have Micky. Micky is approximately 3 years old, male, neutered pit possibly boxer mix. He is an extremely fearful dog. Has no bite history whatsoever. They reside in a low income housing complex in Syosset, NY. The complex houses predominantly elderly people. Micky barks, growls and sometimes lunges when he is frightened, otherwise he is the perfect family pet. He is especially attached to the baby. The residence are afraid of Micky and now the Town of Oyster Bay housing authority wants The Langs out. They have gone as far as bringing people in to court today to testify that they have been bitten by Micky. The lawyer is just about the most dispicable person I have ever met. They are trying to have Micky euthanized. Do you know what recourse they have? I don’t know where else to turn. I submitted an extensive report to the Langs attorney in hopes that they will take my expert evaluation of Micky which states that he is not an aggressive dog.I thank you for taking the time to read my e-mail And if you can steer me in the right direction I would so appreciate that. A. The owners of Mickey are faced with a difficult situation given that he barks, growls and lunges at people. 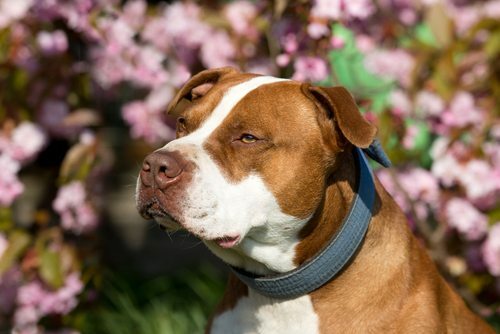 According to case law in New York, these kinds of behavior, assuming these past instances were not provoked, usually suffice to put someone on “notice” regarding the dangers propensities of the dog. Dog bite law usually disregards the reasons, motivational speaking, why a dog has bitten a person in the past. What is the main concern, from a legal perspective, is the fact that the dog has acted aggressively in the past in the absence of provocation. Having said this, in your particular situation, people commonly get bitten because the dog becomes fearful during its interaction with people, and the display of fear aggression in some dogs can present a greater danger in some cases compared with a dog who attacks because it is protecting its territory. Hence it appears that this particular dog, albeit loving with family members, possessed propensities to attack, and this probably cannot be ignored in your situation. My suggestion is to explore other avenues such as placing Mickey in another location outside the housing complex in which he currently resides, or possibly subjecting him to further rehabilitate with appropriate behavioral modification and possibly drug therapy. There are certified applied animal behaviorists in your area, either PhD’s or DMVs who have a great deal of expertise in treating fear-based behavioral problems in canines. Check out the Cornell’s school of veterinary medicine behavioral clinic. Your efforts are to be commended but nevertheless other options in this case should now be explored before euthanizing this dog.